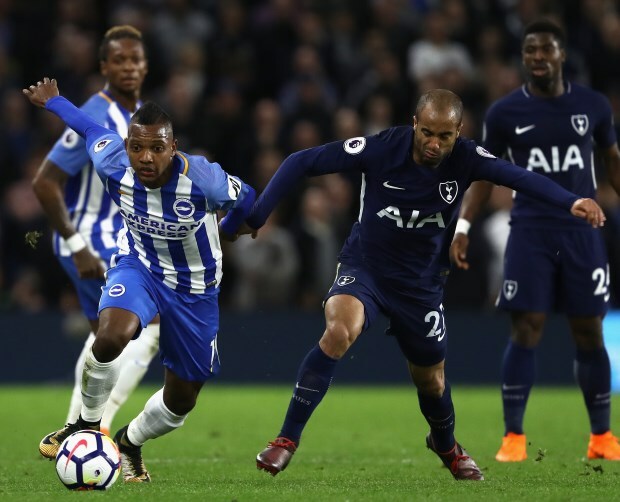 Former Tottenham Hotspur star Garth Crooks has heaped praise on Lucas Moura, as he feels the Brazilian always makes an impact for Spurs when given the chance. Mauricio Pochettino’s men climbed back into third-place in the Premier League table with an emphatic 4-0 win over bottom-placed Huddersfield Town on Saturday. Spurs were without the services of the injured Harry Kane and rested several other key players for the second leg Champions League quarter-final against Manchester City on Wednesday. However, they were not made to miss their key players as Lucas netted a hat-trick after Victor Wanyama opened the scoring in the first half. And in the wake of Lucas' excellent display, Crooks has lauded the Brazilian by admitting that he always makes an impact whenever called upon by the manager, despite being a bit-part player at times. “This lad has been a bit-part player for Spurs since his arrival fro nbm PSG two seasons ago but he seems to make a significant impact on the game whenever he plays”, Crooks wrote in his column for the BBC. “His role in Tottenham's demolition of Huddersfield Town was no exception. Lucas has scored 12 goals and registered two assists across all competitions for Spurs this term.